The purpose of a building inspection is to identify deficiencies in new building work and in existing buildings. As a building inspection business, it is our job to identify these deficiencies and establish with you the overall condition and provide you a clearly written report. We will also include an overall summary on the building’s quality of workmanship and building standard. Building inspections are especially important for prospective home buyers and for those who are having a building constructed, as you would want to know the quality of the building structure and finishes for which you will be committing yourself. We operate as a fully independent building inspection firm with very experienced building inspectors, with over 40 years of experience within the building and construction industry, so that you can be assured to be in safe hands. Our Inspectors are members of the “Queensland Master Builders Association”, “Institute of Building Consultants” and “Timber Queensland”, and are fully licensed with the “Queensland Building Construction Commission – QBCC”, as “Licensed Builder”, “Licensed Building Inspector”, “Licensed Pest Control and Termite Management Technicians”, giving you the best choice and access to fully Independent, Qualified and Licensed Building and Pest Inspectors. During our inspections a variety of tools or equipment to further investigate deficiencies may be utilised, including: testing for moisture, gauge meters, probing, pressure, acoustic tapping, measurement, levels, thermal imaging, Termatrac Radar Scanner, etc. 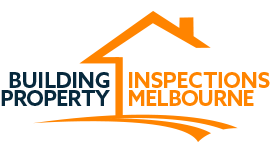 All of our building inspections comply with Australian Standard AS 4349. 1-2007. It is our opinion that a commitment to purchase an existing building should be conditional upon a qualified inspection, which is satisfactory to you. A similar commitment is recommended for new construction where it is our opinion to have all stages inspected by a qualified inspector. Recommended stage inspections, include – Footing Inspection (prior to pouring concrete), Slab Inspection (prior to pouring concrete), Frame Inspection (at frame completion stage), and Handover Inspection (at completion stage, prior to handover by builder). Fully independent inspections carried out by highly qualified, licensed and experienced building and timber pest professionals, we work for you!